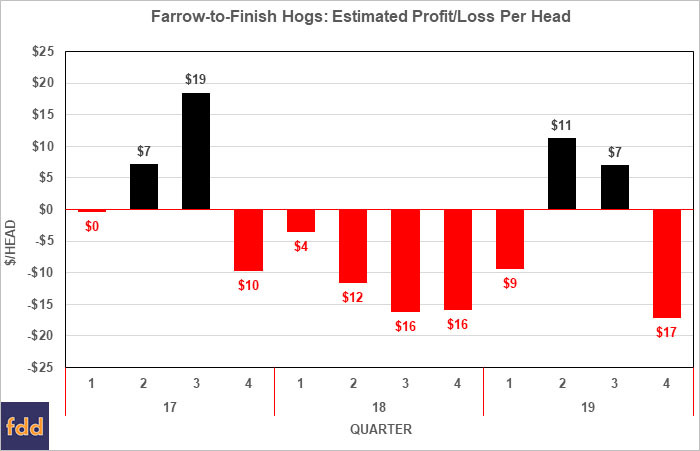 Will Pork Industry Have a Better 2019? The overall trade picture looks more optimistic when viewed in a global perspective for multiple reasons. First, total pork exports to all destinations are up six percent. In addition pork sales commitments through the week of November 22 are also up six percent, and USDA analyst are using a six percent increase for their 2018 annual estimate. Second, the signing of the USMCA calms trade conflicts with Mexico and Canada. That trade agreement still needs approval in each country. In addition, it leaves in place the U.S. tariffs on steel and aluminum. It was these tariffs that caused Mexico and Canada to place restrictions on U.S. pork. Those tariffs still need to come off. Third, hope for a cooling of the trade conflicts with China are potentially supportive to hog prices. Fourth, African Swine Fever in China is not under control and China may import more pork and other meat products to compensate for lost hogs due to the disease.